"I've had a trainer before and was looking for a total mind and body experience. Right away I felt like Kal was listening. He gave me the confidence to take my body where I wanted to go. I didn't expect to get there as quickly as I did. The workouts had a method and seemed quite doable. This is definitely an experience I wish more people would try. Life requires a balance. I have struggled with this balance. One of my goals was to gain a better balance with working out. And this has been something Kal really heard and has offered me through workouts. There is never a point that I felt I was not achieving a better life." "Since beginning my training with Kal's Peaceful Training program, I feel as if I am going through the majority of my days completely stress free! I've lost 20lbs and have gained definition in my legs, arms and stomach. My diet has improved drastically and I'm much more aware of what I'm putting into my body. I have more energy and self-confidence, my relationships have improved and I feel a sense of optimism I never knew possible! Kal comes to every workout with peaceful yet motivating energy. Each workout is challenging and enjoyable, which always leaves me looking forward to my next session." "My journey with Kal and Peaceful Training began a year and a half ago. I was 43, struggling with sugar addiction and fighting a losing battle with weight gain. I felt like I was literally fighting my own body. I wanted desperately to feel like myself again, to be fit again, to lose the weight and to run. Kal’s incredibly positive and supportive approach and commitment to my goals made it easy to commit to myself and the fact that this would not be an overnight transformation. My workouts have become a sacred reprieve from all the ick in the world and the constant thoughts in my head. Kal's Peaceful Training philosophy hasn’t just made my body stronger and leaner, but he has challenged me to go slower, to be more conscious of why I do the things I do. He has questioned my motives in all aspects of my life, as well as challenged my beliefs about myself, my body and my capabilities. He has taught me confidence, self-love and to love and respect my body not as an object, but as my home. He has taught me to be in the moment instead of rushing into the next and I recommend his training to everyone!" "I started this running journey in my later years and having someone that was knowledgeable, experienced and passionate about the sport to coach me was important to me. A geek at heart, I don’t do gimmicks or fads, I like knowing all about the metabolic science behind long runs and VO2 Max and how the stress of different workouts improves my body’s ability to perform. Coach Kal brings his unique experience, he has learned from being a top athlete himself. His ability to bring out the best in his clients and challenge them to reach their goals is done so with compassion. 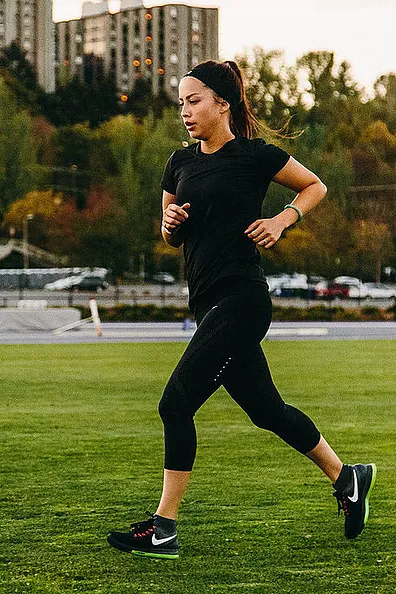 So, If you are a runner new to the sport, a runner eager to improve or just want to feel comfortable knowing you can run safely, Coach Kal can help you achieve your individual goals." "He is kind, caring and focused. He is really great at reading me, knowing what I am capable of, knowing how much to ask of me without pushing or pushing me over the edge. I always look forward to my workouts because they are fun and different every time. There is a lot of variety within each workout-- a cycle of exercises that gets repeated several times, so just when I feel I can’t do one more of whatever I’m doing, it changes to another activity. By the time we come back around to repeating the cycle, my muscles have gotten a break and are ready to go again. Kal is knowledgeable and a lovely human being. It is a great pleasure to know him and to work with him." "'A trainer is someone who gets you to do what you don't want to do so that you can be who you want to be.' This quote perfectly describes who Coach Kal is. Coach Kal is a veteran runner and athlete, which seem to give the benefit of understanding my training on a deeper level – the day-to-day fatigue, goal-setting process, what it feels like to succeed and fail, and to empathize with the entire process. I couldn't have been blessed with a greater, more passionate coach than Coach Kal himself. It has been an honor to learn under his wing and he has helped me grow from a 5k runner to a pregnant marathoner." "I am very grateful to have crossed paths with Coach Kal. Through his training and mentorship, I have grown tremendously as a runner/athlete - and also as a person. What stands out most to me about Coach Kal's training model is his approach to coaching. The way he really genuinely connects. He is able to meet me at my level, my comfort zone and coach me to grow in a very positive and peaceful way. Of the many things that I've learned from Peaceful Training, I have really enjoyed the emphasis on meditation. Toward the beginning of every session, I look forward to the simple reminder - to forget about any stress or distractions earlier that day and to focus on the here and now. That reminder literally lifts a weight off my shoulders. Every time."